The best hairsprays for a natural, non-crunchy finish. 6 hairsprays that will give you all the hold without the crunch. When it comes to my hair, I’m a fairly low-maintenance kinda gal. I can get ready in less than 10 minutes, and a simple up-do and quick round of hair spray is all I usually need. However, I know all too well the pain of running out the door and releasing your hairspray has left your hair way too stiff and weirdly shiny. Desperate to avoid this? I’ve done some investigation to find the hairsprays that offer great hold minus the crunchiness; that won’t ruin your hair when you’re in a rush; and that you can rely on to provide great hold all day but also deliver a natural looking, healthy shine. Demanding, aren’t I? But they do exist, I promise. This is like the hairspray equivalent a cheeseburger when you’re horrifically hungover — in other words, it’s wonderful. It’s light, but strong. It has a great sheen, but isn’t too shiny. It holds, but brushes out effortlessly. It’s unlike anything else and the fragrance isn’t overpowering — actually, it smells amazing. $38 for 295ML. This hairspray is a dream. If you&apos;re heading to an event, consider this your new go-to. It has fantastic long-lasting hold, and has a really nice shine without that "stiff" sheen look some hairsprays create. It comes out in a fine mist, so you&apos;ll never have to worry about it making your hair too crunchy in sections. And at $9.95 for 400ML, it&apos;s a bargain. I&apos;d like you to meet your new styling best friend. This product delivers strong hold without the crunch and it allows the hair to move. It&apos;s flexible and can be layered so you can build up to the hold you desire. $19.95 for 385ML. The list doesn&apos;t end there — check out The Glow&apos;s other favourite hairsprays. The best hairsprays for a natural looking finish. 1. 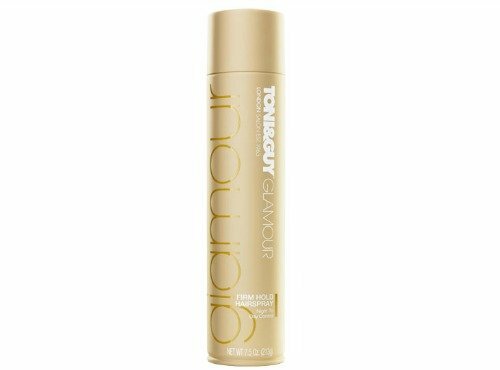 Toni and Guy Glamour firm hold hairspray.This product is great for humid environments because it contains anti-humidity protection. It is like your reliable best friend, and great for day-to-night-looks. $9.99 for 250ML. 2. 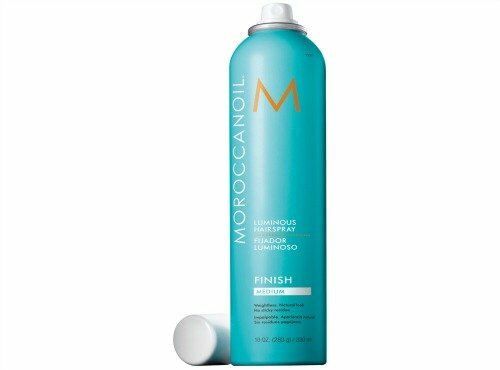 Moroccanoil Luminous Hairspray MediumArgan oil is great for your hair in treatments - but did you know it also comes in hairsprays? Yep. It&apos;s like hairspray 2.0. It doesn&apos;t have that sticky build up a lot of hairsprays have - and you can also spray it straight onto your roots for more volume. Two in one. It costs $35.95 for 330ML. 3. Goldwell Style Sign Magic Finish.If you&apos;re looking for more of a sleek and polished look without the nasty rock-hard finish that some hairsprays have - then this is your guy. 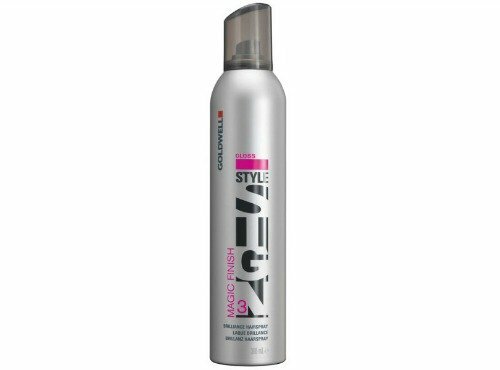 It also offers protection for colour treated hair, and improves colour depth and tone, which is an awesome plus. $25.45 for 300ML. 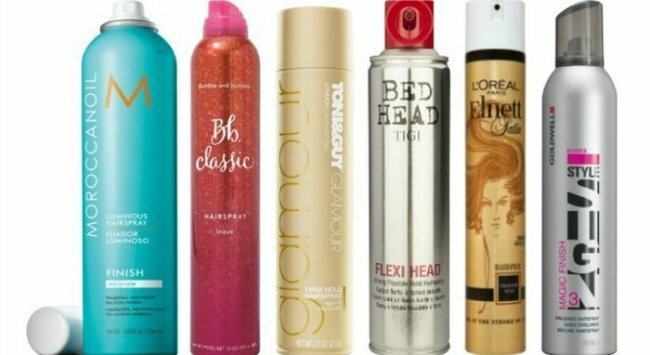 What hairspray do you swear by?